I remember hearing these guys many years ago and not being all that impressed. After hearing this, I’m not sure why. 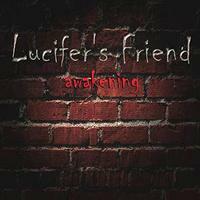 This double disc set combines classic Lucifer’s Friend songs (disc one) and four new ones (disc two). It makes it very clear that LF was (and is) a great band. It definitely has me wanting to pick up some of their old albums and wait to see if they will release any new stuff. This song makes me think of both Led Zeppelin’s “Whole Lotta Love” and “Immigrant Song” in a lot of ways. Of course, this song predates that second one and is from about the same time as the first, so draw your own conclusions. All that said, this is more space rock meets prog oriented. It’s a killer rocking number. 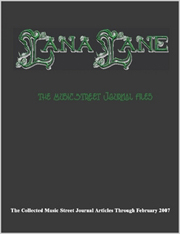 The instrumental sections are powerhouse jazz meets prog and hard rock trips. A high energy rocker, this combines psychedelia, prog rock and more into a killer jam. In some ways this makes me think of White Witch a bit. The bass line is driving and very cool. The whole piece works extremely well. This hard rocking cut is very much psychedelic rock meets old school metal and prog rock. Parts of it call to mind various bands from Black Sabbath to Led Zeppelin, Deep Purple, Uriah Heep, Vanilla Fudge and more. It’s a screaming hot tune that’s extremely cool. It has quite a few cool changes. This starts off quite a bit like old school Deep Purple. Uriah Heep is a valid reference, too. Here we get another great slab of psychedelic rock merged with hard rock and prog. This starts with maritime sounds and then works out to quite an inspired jam there. It’s sort of a progressive rock power ballad. It’s also very cool. I love the echoey element on the start of this. There is a lot of jazz in this energized tune. It’s prog overall, though. It does have some funk and some other great things at play, too, though. The synthesizer solo on this thing is especially classy. A real highlight of the set, this is fast paced progressive rock with a lot of jazz in the mix. It’s almost mainstream rock and roll at the same time. There are balladic sections here. There are more powered up sections. I hear a lot of jazz in the mix, but this very much progressive rock at the same time. There are some great changes. Here we get more of a straightahead rocker. This is more like a blues rocker with an AOR rock chorus. Another hard rocking tune, this one doesn’t have a lot of prog in the mix either. It doesn’t need it to work, though. This is quite an effective piece, really. I will say, though, that the closing segment is all prog. In fact, it even reminds me of Yes just a bit. I love the jazz prog stylings on this powerhouse tune. It’s a real screamer. It really seems hard to believe so much time has passed between the first disc and this one. It fits very well in with the rest of the music. Quick paced progressive rock; this has some metal and more in the mix. It definitely has some psychedelia and some middle Eastern tones in the mix. It’s another strong tune on a strong set. Here we get another rocking tune. This one is more mainstream rock than prog. Still, it’s instantly recognizable as Lucifer’s Friend. The middle Eastern tinged instrumental section mid-track, though is very much progressive rock. There are a few other flashes of prog here and there. Hard rocking music with middle Eastern and Spanish sounds emerging, this has some prog in the mix. Overall, though, it’s more mainstream, driving rock music. It’s also very strong.